When he came to America, a venture loaded with possibilities, Tony Sibson faced an internal quest. A stocky introvert with a stunning left hook, Sibson had been the number-one middleweight contender for close to a year. The barrel-chested twenty-four-year-old veteran had collected British, Commonwealth, and European titles and had powered through good men such as Matteo Salvemini, Alan Minter, and Dwight Davison. Alighting at Boston airport in the winter of 1983, Sibson’s greatest challenge, as ever, was himself. A former hod carrier, Sibson was a quiet soul. Chronically shy, he found solace in music, via his guitar, and his collection of rock and roll records. Influenced by his grandfather, Wally, a former professional lightweight blooded in England’s notorious fairground boxing booths, young Tony learned to box in the rural Leicestershire ‘burbs. He turned pro ahead of Britain’s scorching summer of 1976—when Big Ben broke down, and time stood still—as nothing more than a lark to earn a “few quid.” Yet he was a full-hearted performer, despite a debilitating inferiority complex. This diffidence affected his temperament. Like a jittery, five-furlong racehorse needing a hood to make it into the stalls, Sibson’s mind would meander from fight to fight: from overconfident (and often overweight) to laden with heebie-jeebies and self-doubt. Opponent Bobby Coolidge once quipped that Sibson resembled “a keg with limbs”—yet he held a boy-next-door appeal, with his shaggy bowl haircut and working-class lilt. Along with his aggressive style and gentle humanity, it proved popular. He attracted a boisterous following, known as “Sibbo’s Army,” that ensured he was in constant demand. Training each night after working construction by day, Sibson developed into a physical specimen—a bobbing, rolling bull terrier, with a left hand that could make cash registers sing. Sibson touched down in gloomy, snow-bound Worcester, Massachusetts, in January 1983, to face the fearsome middleweight king Marvelous Marvin Hagler. Unable to spar after a sinus injury, Sibson, 47-3-1, focused on roadwork instead—haring across the frozen industrial landscape with his breath burning in his throat. Televised by HBO, the fight sold out the 13, 577 seat Worcester Centrum within days and guaranteed Sibson a career-high purse of $537, 000. Years earlier, Sibson had studied Hagler at London’s Craven Arms Gym, prior to the American’s three-round demolition of middleweight boss Minter. An embittered, glowering figure, Hagler’s greatness had been forged in the late ‘70s, care of a hellish series of Philadelphia ring wars involving the likes of “Bad” Bennie Briscoe, Willie “The Worm” Monroe, and Eugene “Cyclone” Hart. 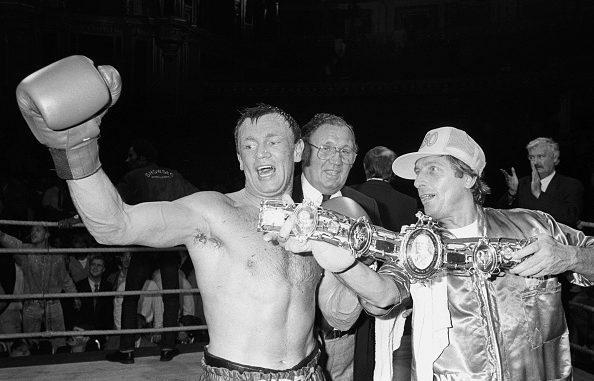 Impressed with Hagler’s work ethic in Battersea, Sibson’s appreciation swelled from ringside in San Remo, Italy, as the champion extended his record to 52-2-2 by crushing Venezuelan Fulgencio Obelmejias in his fifth title defense. Mistaking his opponent for a bully, Sibson jabbed a finger into Hagler’s midriff at the weigh-in, on the morning of the fight. “It’s just you and me now,” Sibson whispered bullishly. An exercise in bad faith, it merely hardened Hagler’s mood. The champion’s response stifled the few hundred Sibson supporters who’d jetted in from England’s heartlands. Hagler bolted from the blocks, rapping Sibson with southpaw jabs and spearing left hands. As Sibson shillyshallied in mid-ring, Hagler engulfed him like the occasion itself. The challenger’s overreliance on his left hand when under duress, as instinctive to him as blushing, was suicide in this company. It was as self-defeating as if he’d been rowing a boat. Sibson struggled to negate Hagler’s reach advantage in rounds two and three as the buckshot flew. Though doggedly dipping, scuffling, and swinging, Sibson, his head as inviting as a coconut atop a shy, was catching hell for only meager success. Here it was then: the age-old gulf in technique between America and Europe’s elite. Hagler boxed like a dream—or a nightmare, perhaps—in the fourth; gliding, switch-hitting, and crumpling Sibson’s nose. He became a cruel mirage. A study in poise and precision, Hagler scored with thudding impunity before nipping back out of range, like an action painter checking his progress. And then Sod’s law struck. “The only bad cut I ever had I was eight years old, maybe younger,” Sibson had assured the New York Times in the build-up. “My mother was going to smack me and I ran out between two parked cars and this fat kid riding a racing bicycle ran me over.” After round five, it appeared history had revisited him, only this time with a truck. It was a trio of head-spinning jabs that did it, punches akin to ramming someone in the face with a ring post— shots that stunned Sibson, tore open his left eye and, with it, the dressing over his deepest misgivings. Blind now to the champion’s jackhammer right, a marked-up Sibson went for broke. His face now matted with hair and blood, he drove home a pair of jolting lefts—still adamant this should be a fight, rather than a boxing match. Unruffled, Hagler held his form before clocking Sibson with a left hook that landed high on his skull and dumped him onto his backside. Groggy, bleeding, and with his groin guard broken and hanging loose, Sibson epitomized defeat. Again, though, he fought back, in abject denial. Calmly creating space with his left forearm after a melee, Hagler delivered two piledriving overhand rights that nailed Sibson down onto all fours. Sibson arose on beaten legs and referee Carlos Padilla wrapped an arm around him and called it a night. Three months after the Hagler defeat, Sibson had drifted away from the sport. He focused instead on a family life that now included newborn son Ryan, and his budding construction business. After America, he’d struggled to transition back to the comparatively muted gym scene in leafy Syston. As he faded toward welcome obscurity, advisor Mickey Duff and manager Sam Burns—a former betting magnate and right-hand man to the great Jack Solomons—plotted to lure him back to face Bobby “Boogaloo” Watts in London. Sibson eventually relented on the proviso that he be well paid. After the Watts fight fell through, Sibson changed course to face Frenchman Louis Acaries for his old European title. And then Duff rolled the dice. Unbeaten Irish-American John Collins, 29-0, 26 KOs, had built a following among the South Side Irish in his native Chicago. A willowy, six-foot-plus banger, he’d scored a brace of solid wins on NBC, over willing duo Lenny LaPaglia and Kenny Whetstone. Still too green at twenty-three to challenge Hagler, the aim was to leapfrog off Sibson into the top ten. And Duff’s motives? Whatever the truth, Collins would reveal to him what this less obliging version of Sibson had left. After training at home with long-term coach Ken Squires, Sibson completed camp with trainer George Francis in the States. Arriving at Carmen Graziano’s gym in New Jersey three weeks before the fight, Sibson met with sly eyes and sneers. A bear pit teaming with gifted, hard-luck fighters, he might as well have strolled in with a bullseye on his back. Sibson’s fragilities quickly resurfaced. Unsettled and unaccustomed to gym wars, sparring began like blowing bubbles into a furnace. He spent days trying to survive against heavyweights, light-heavies, and anyone else looking to make a name for himself. And it was ugly. On a warm afternoon in Atlantic City, Collins ran into the relentless fighter who’d wrecked Croydon hard case Frankie Lucas and later Minter, the cocky veteran. And this version had two hands. The pair jabbed with one another for two minutes before Sibson walked Collins into a stiff right, while the favorite fixated on his left. Hurt, Collins tarried against the ropes and Sibson tore him apart. At the bell, a crashing left folded Collins in two, like some bungled attempt at the limbo. After prospective fights against Americans Leroy Hester and Bruce Johnson came and went, Duff cajoled Sibson into facing Puerto Rican junior middleweight Manuel Jiminez at Wembley Arena. Unfit, unhappy, and overweight, Sibson labored to a lackluster stoppage win. With the Acaries fight slated for February 1984, Duff pushed to fill a January 14 slot on NBC. It took the promise of an expenses paid trip to convince Sibson to return to the United States. And after top target Czyz slipped away, somehow, the promoters came up with “Dangerous” Don Lee. Born in Gary, Indiana, Lee was a six-foot-two switch-hitting nightmare. Trained by Ray Leonard’s former coach, Dave Jacobs, the talented twenty-three-year-old went 196-6 as an amateur and was now 19-1-1 (19 KOs) in the pros. A church-going former Boy Scout, Lee had been a whipping boy for the neighborhood goons growing up. After learning to fight to relieve his older sisters from bodyguard duties, even top-rated middleweights knew to leave him well alone. At the Sands Casino Hotel in Atlantic City, the unassuming duo produced a forgotten classic before a crowd so hushed, you could hear the fighters’ boots squeaking between the grunts, snorts, and desperation. Sibson drew first blood, scoring a flash knockdown at the end of the opening round with a deftly timed jab. Under instruction from Jacobs, Lee switched to southpaw in round two and began pecking away at Sibson with his telescopic arms. Something like a stick-thin Larry Holmes, with his red and white outfit, hunkered shoulders, and whipping jab, Lee lashed home a searing left in round three that crumbled Sibson into the canvas. As Sibson struggled to pull himself back together, Lee leveled him again with a pinpoint uppercut. Back up at four, Sibbo took a prolonged peppering before falling backward through the ropes with his arms flailing, like a drunkard falling off a stool. The bell came like a gentle rain. Did he know where he was? Were there flashbacks to Worcester, while Duff and Francis worked on him like a pit crew? Regardless, there wasn’t time to fret about what people thought of him now—only how to recover. He gathered himself steadily over the course of round four, even pounding Lee throughout the final minute. “You’re going gray,” Sibson said apologetically to Duff as he plopped back on his stool. After a commanding seventh, Sibson landed a flush left hook in round eight, before dropping Lee for the second time with another darting left jab. The time was now. He moved in for the kill. “Big trouble for Don Lee all of a sudden,” said Ferdie Pacheco. “Sibbo smelling blood.” And then it was over. Lee produced a beautiful counter left on the fly, followed by a crisp one-two that laid out the hard-charging Sibson. Lifting his shoulders in slow motion while shooting Lee a look of disgust, he stood, before sagging backward into the ropes. Sibson claimed the stoppage had been premature, of course. How else to repel the horrors that would assail him before the big nights ahead? His American adventure lingered on for a few weeks, before he took flight from his Miami training base and bought a one-way ticket back to Leicester. 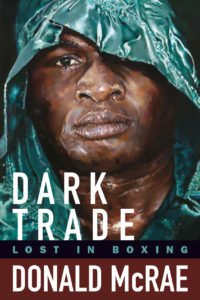 After a stunning victory, Lee fell into a Kafkaesque vortex of business wrangles, litigation, short-notice fights, and shady decisions that boxing excels at. His motivation diminished, he went down to Michael “The Silk” Olajide in February 1987 and later Michael Watson and Jeff Harding. A mooted return fight with Sibson in England never materialized. Despite consulting a plastic surgeon over his eye, Sibson returned within just six weeks, to defeat Acaries before 13,000 partisan Parisians. It was his fourth fight in five months. So much for fragility, right? “When I leave boxing, I’ll be leaving the devil,” Sibson would say three years later, prior to his sixty-third and final contest, a defeat to American Frank Tate. Tired of staring into a mirror, he looked out into the world; less carefree but more assured and, yes, happier.